For example, suppose Roger in Seattle writes a check on Seattle Bank payable to Julia in L.A. and mails it to her. Julia deposits it in her account at L.A. Bank, the depository bank. L.A. Bank truncates the check (again, scans it and destroys the original) and transmits the data to Seattle Bank for presentation and payment. If for any reason Roger, or any appropriate party, wants a paper version, a substitute check will be created (see Figure 23.1 "Substitute Check Front and Back"). Most often, though, that is not necessary: Roger does not receive the actual cancelled checks he wrote in his monthly statement as he did formerly. 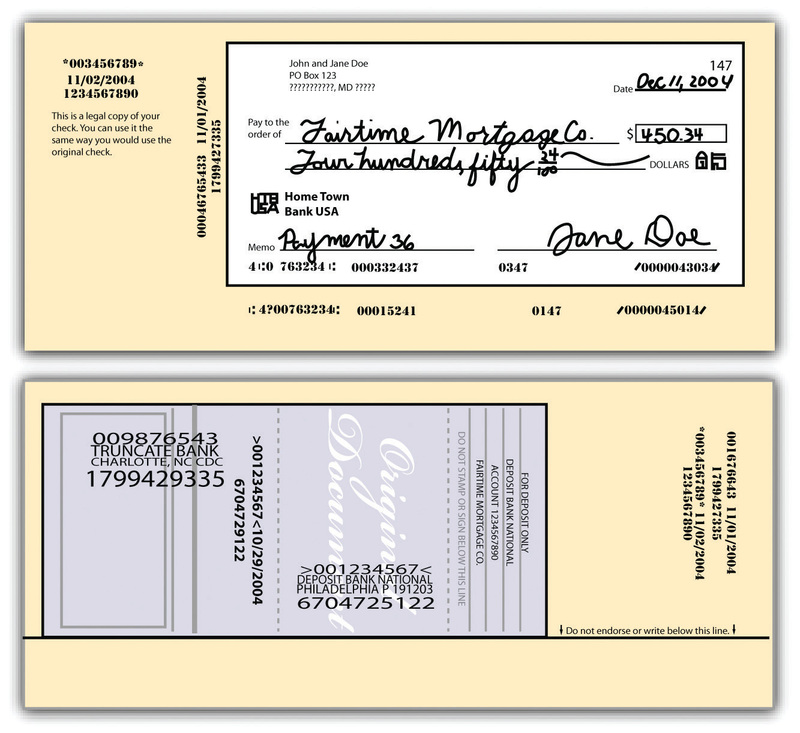 He receives instead a statement listing paid checks he’s written and a picture of the check (not a substitute check) is available to him online through his bank’s website. Or he may receive his monthly statement itself electronically, with pictures of the checks he wrote available with a mouse click. Roger may also dispense with mailing the check to Julia entirely, as noted in the discussion of electronic funds transfers. If a bank wrongfully dishonors an item, it is liable to the customer for all damages that are a direct consequence of (“proximately caused by”) the dishonor. The bank’s liability is limited to the damages actually proved; these may include damages for arrest and prosecution. See Section 23.4 "Cases" under “Bank’s Liability for Paying over Customer’s ‘Stop Payment’ Order” (Meade v. National Bank of Adams County). In order to hold a bank liable for paying out an altered check, the customer has certain duties under Section 4-406. Primarily, the customer must act promptly in examining her statement of account and must notify the bank if any check has been altered or her signature has been forged. If the customer fails to do so, she cannot recover from the bank for an altered signature or other term if the bank can show that it suffered a loss because of the customer’s slowness. Recovery may also be denied when there has been a series of forgeries and the customer did not notify the bank within two weeks after receiving the first forged item. See Section 23.4 "Cases" under “Customer’s Duty to Inspect Bank Statements” (the Planters Bank v. Rogers case). 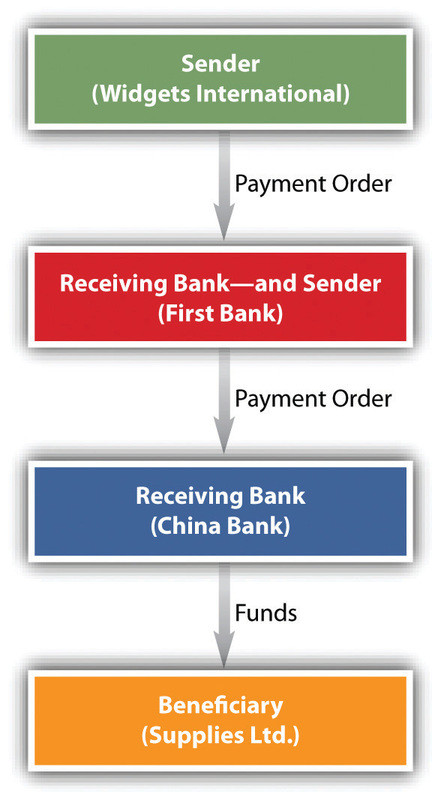 When First Bank performs the purchase order by instructing China Bank to credit the account of Supplies Limited, First Bank becomes a sender of a payment order, China Bank becomes a receiving bank, and Supplies Ltd. is still the beneficiary. This transaction is depicted in Figure 23.3 "Funds Transfer". 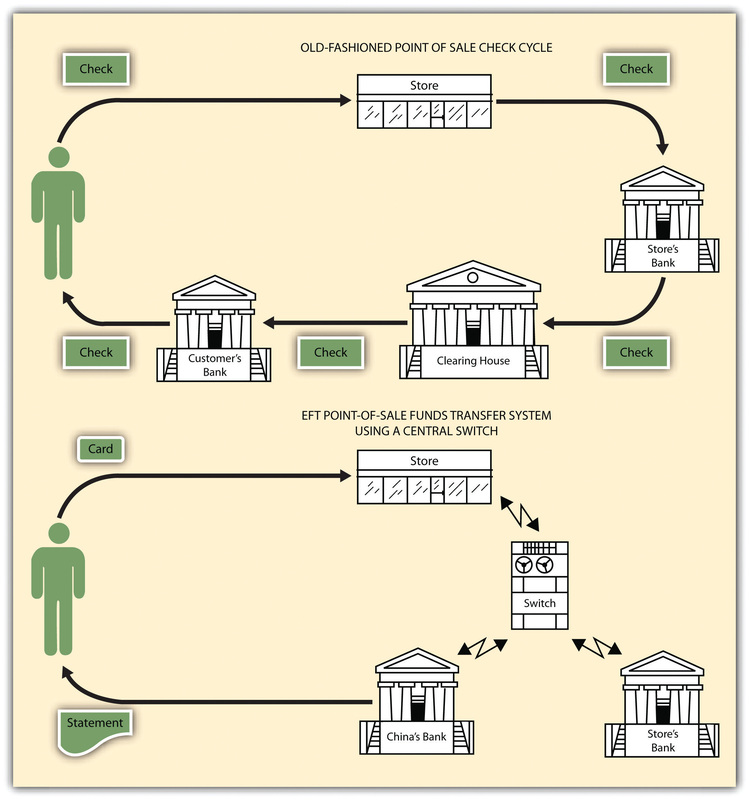 In some transactions there may also be one or more “intermediary banks” between First and Second Bank. 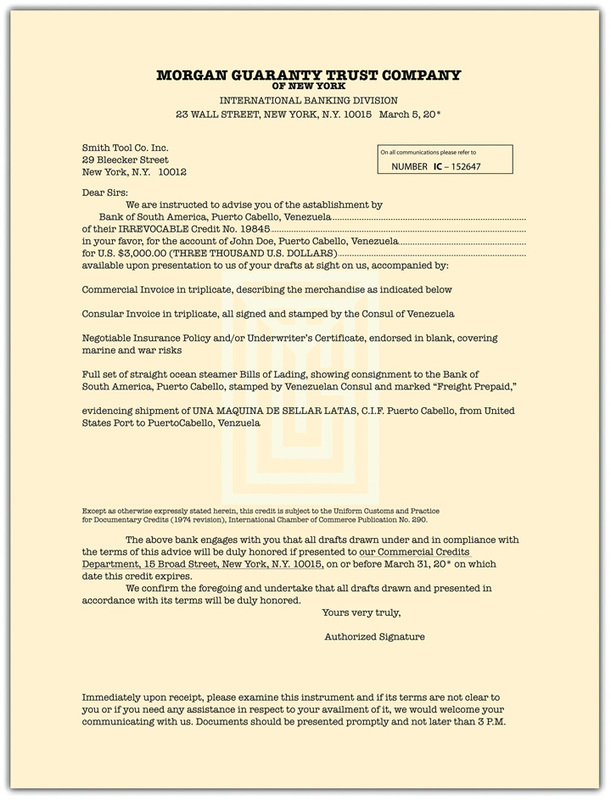 The following discussion presents how letters of credit work as payment for exports, and a sample letter of credit is presented at Figure 23.4 "A Letter of Credit".